A year ago when Bakr Al Magadna decided to start exercising outdoors, he did so out of necessity, not choice. Last summer’s relentless, 50-day onslaught by Israel on Gaza had destroyed all of the city’s gyms. Inspired by online footage of “street workout” – combining gymnastics with callisthenics in simple exercises that use a person’s body weight to improve their fitness and strength – Mr Al Magadna headed for the beach. 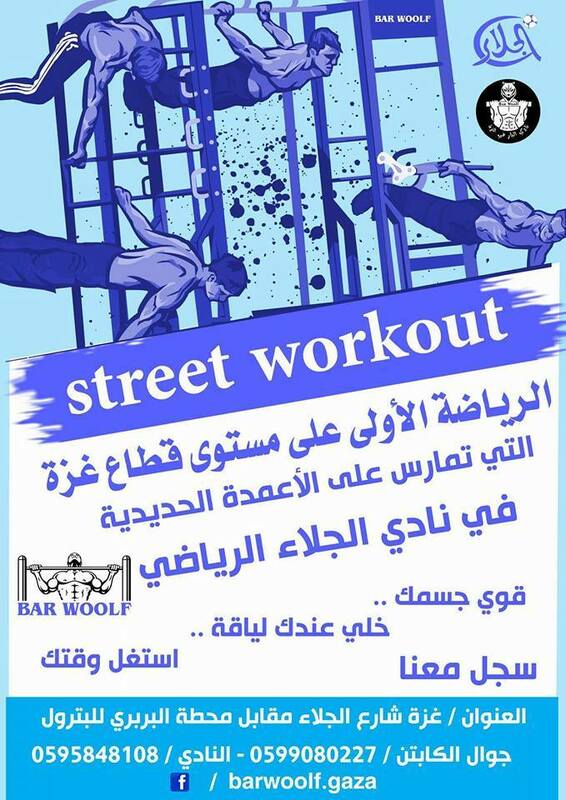 Before long he was joined by three friends – Eyad Aayad, Mahmoud Nasman and Suleiman Taleb – and together they formed the street workout team Bar Palestine, a group dedicated to leading a healthy lifestyle and inspiring others, despite the wreckage of war and the absence of equipment that most people might take for granted. 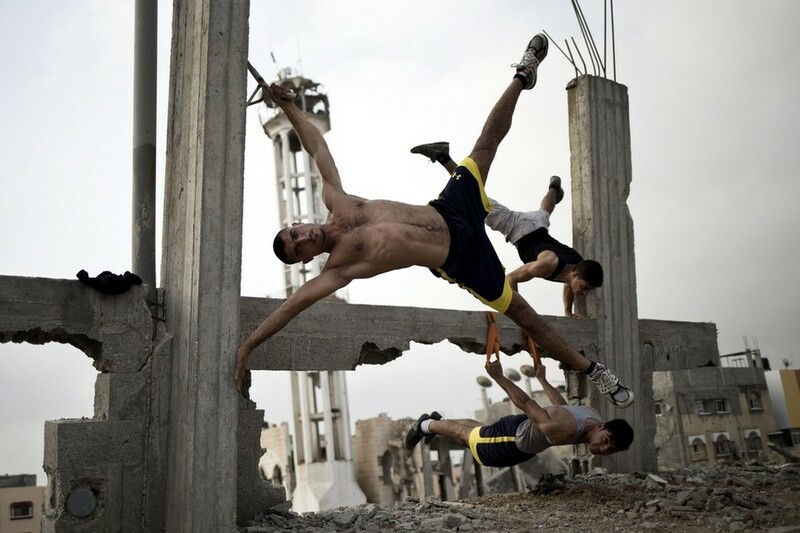 Before long the members of Bar Palestine had transformed themselves into street athletes with sufficient suppleness, strength and stamina to turn the wreckage of Gaza City into their very own gym.